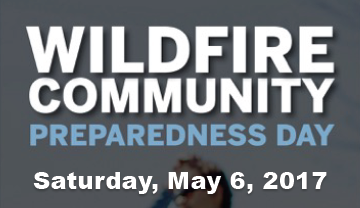 Wildfire Community Preparedness Day is this Saturday, May 6th! Take this opportunity to use this day for a general yard clean-up day. Pick up debris, clean the gutters, rake up under decks are just a few ideas for the whole family to take part in. Need more information? Contact Michelle, Acting Captain, and Fire Prevention Officer, at mbishop@mission.ca. Do your part in your own community area by cleaning up your yard debris. You and your neighbours can reduce hazards by doing a simple yard clean up in the First Priority area, 0-10 meters around your home. The best protection against loss or damage from wildfire is prevention. Can you do 10-30 meters around the house? Details: Break out the garden gloves, pruning shears, a rake, and appropriate clothing. More information is also available at www.WildfirePrepDay.org. Click here to download the poster for the day.